I am much too often visited by the acne fairy, (like the tooth fairy, except is never welcome). And after my many failed attempts to be rid of this horrible creature, I was willing to try anything. That's how I insanely justified spending $150 (Cyber Monday sale) on a skin-cleaning device -- something I would normally never even consider. 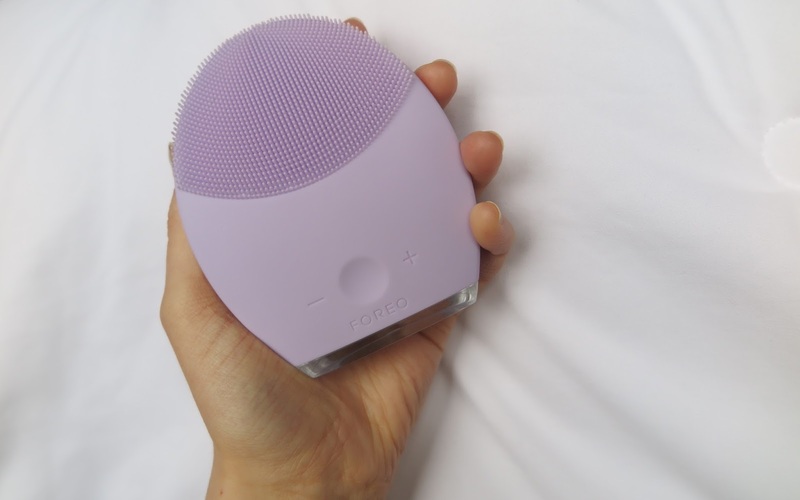 The LUNA Facial Cleansing Brushes by FOREO have made quite the impression on many users, and I figured at this point that I didn't have much left to lose. So, I bit the bullet and bought the LUNA 2 for Sensitive Skin. Also very oily -- gotta love combination skin! Basically, this little device is covered in small silicone bristles that vibrate super fast to clean the skin by using something called "T-Sonic" technology. There are also ridges on the back intended to reduce the appearance of fine lines and wrinkles, but this is a feature I haven't really used. Silicone bristles feat. a piece of fuzz. My camera would not focus on the back, but here are the ridges. I use this device twice a day: in the morning and night. 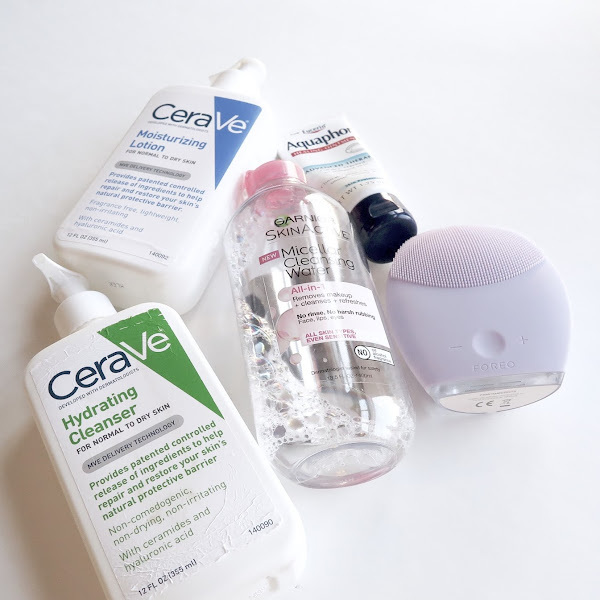 I begin by splashing my face with water and dabbing on my facial cleanser (I use CeraVe Hydrating Cleanser), and then I move the device in small circles around my face. There is an automated timer that pauses the vibrations every 15 seconds so you know when to switch to another part of your face. There are 4 cycles of 15 seconds, providing a full minute of timed facial cleansing. Then I just rinse my face and pat dry (and rinse and pat dry the device as well)! Very easy to keep clean. 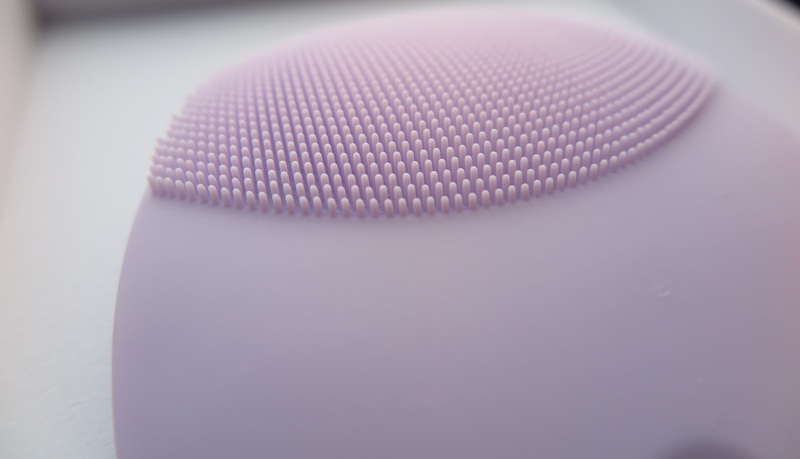 Keeping facial cleaning devices clean is a extremely important, and unlike the Clarisonic brush heads, the silicone bristles of the LUNA do not collect and grow bacteria. Provides skin with a gentle, yet deep clean. I was concerned about being able to clean small areas of my faces, such as the sides of my nose, but by maneuvering the device, you can reach everywhere. 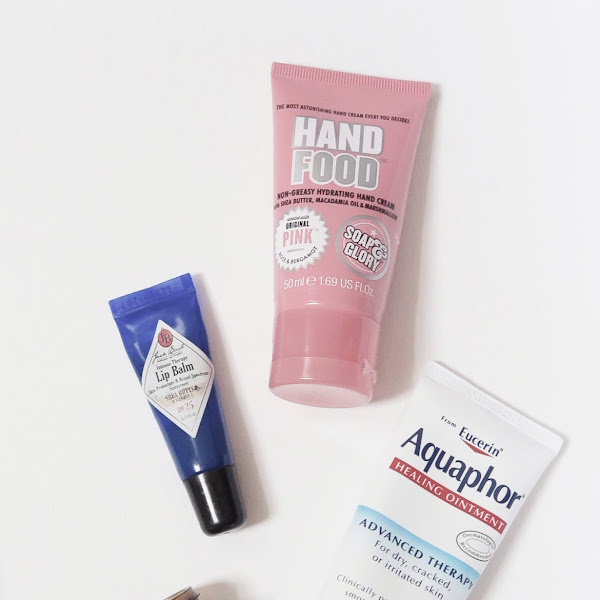 The texture of my skin has greatly improved within weeks of using. You can tell after the first use how much softer your skin is. Rechargeable, and one full charge lasts for months and months. Although it didn't miraculously clear my face demons overnight (a girl can dream), I have seen a decrease in new acne and my face has slowly been clearing up. Hasn't not caused any skin irritation. Waterproof. Use it in the shower! 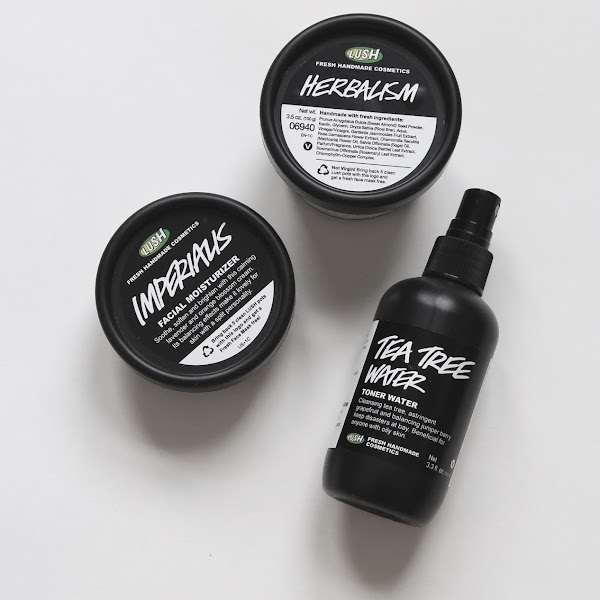 Comes in 4 different styles -- one for every skin type. This product claims to have 12 different vibrating "powers," but I cannot for the life of me figure out how to do this? Maybe the settings are so close to one another that I can't tell the difference, but this is a feature I can't speak on. The LUNA 2 retails for $200 and can be purchased online or in stores such as Sephora and Ulta. I am very happy I decided to make this purchase. If you are looking to add a facial-cleaning device into your skincare routine, I would definitely recommend this one. It is less abrasive, more affordable, and more sanitary than the Clarisonic, and provides the skin with a deep cleaning, leaving behind a more even and radiant complexion. What are your thoughts about facial-cleaning devices? This looks great, but I agree, kind of pricey! Glad to hear it! Mine has made such a difference.